Paolo Piccirilli has been a member of SIAE (Società Italiana Autori Editori - Society of Italian Publishing Authors) since 1983; he’s qualified as a “melodist composer”. Copyright of the pieces contained in the collection " Lapislazzuli " are under SIAE (Società Italiana Autori Editori) November 1998. All rights reserved. Copyright of the pieces contained in the collection " Passe-partout " are under SIAE (Società Italiana Autori Editori); June, 1999. All rights reserved. Copyright of the " Messa in re Maggiore" is under SIAE (Società Italiana Autori Editori); February 2000. All rights reserved. Copyright of " La Giara ", composed for the theatrical performance of Luigi Pirandello’s homonymous work, is under SIAE (Società Italiana Autori Editori); July 2000. All rights reserved. The "Equinozio" Copyright of this particolar piece is under SIAE (Società Italiana Autori Editori); September 2000. All rights reserved. Copyright of the piece "Amplexus" is under SIAE (Società Italiana Autori Editori); Februry 2001. All rights reserved. Copyright of the pieces contained in all of " Space collection " are under SIAE (Società Italiana Autori Editori); July 2001. All rights reserved. The pieces contained in all of " Café Chantant " were published in march 2019 by Italian Way Music. All rights reserved. Copyright of the pieces contained in all of "Male d'amore" were published in march 2019 by Italian Way Music. All rights reserved. Copyright of the pieces contained in all of "Acustico Amore in me maggiore e minore" were published in march 2019 by Italian Way Music. All rights reserved. 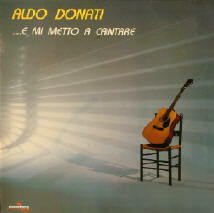 Va via (Go away)(1987) performed by Aldo Donati from the Album "... E mi metto a cantare" "(And I start to sing) Ed. 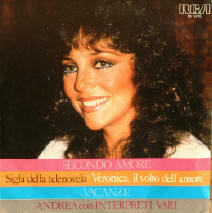 Rossodisera/RCA Music - Words by Pasquale Panella - Music by Paolo Piccirilli and Aldo Donati.